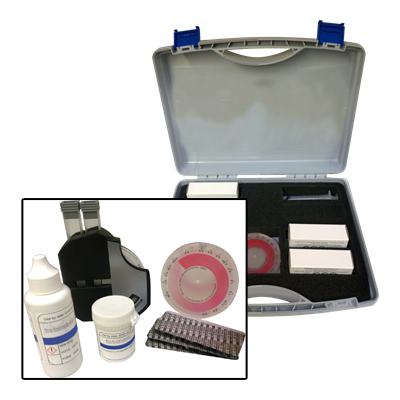 A comparator test kit that can be used to measure the levels of silica in system water. Silica is often present in cooling tower inhibitor treatments. Sufficient levels of silica is required for effective corrosion inhibition.